Women and girls everywhere are stepping into leadership roles, working to improve their communities, and innovating in science, the arts, business, and governance. Yet there is still much to do to deliver on the promise of equal access, freedom, and opportunity for women and girls worldwide. 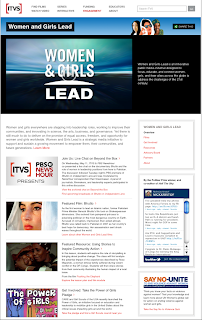 Women and Girls Lead is a strategic media initiative to support and sustain a growing movement to empower them, their communities, and future generations.